An action packed day of Class IV whitewater rafting followed by a rappel and rock climbing. 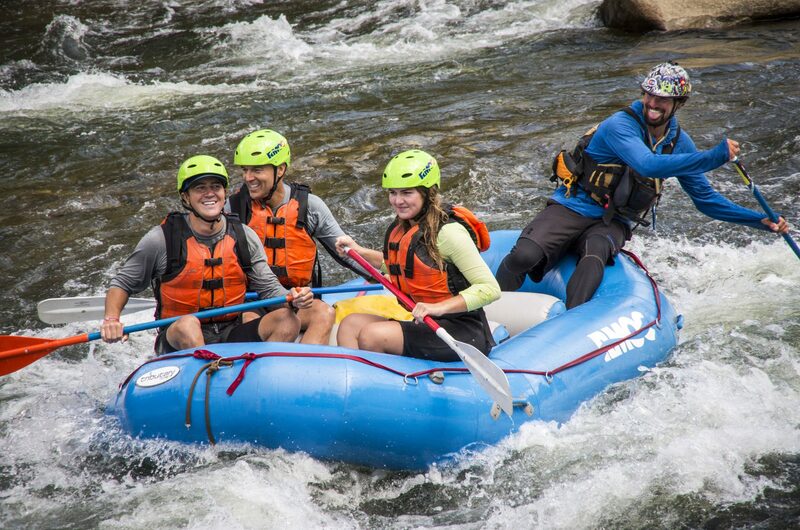 Start this exciting day by paddling down the class IV section of the Arkansas River known as the Numbers. This stretch is famous for consistent whitewater and technical maneuvering through boulder gardens. After a riverside lunch, we’ll head just up the road to our riverside climbing spot, “The Pumpstation”, for a committing 70 meter rappel followed by top rope climbing. A perfect day!